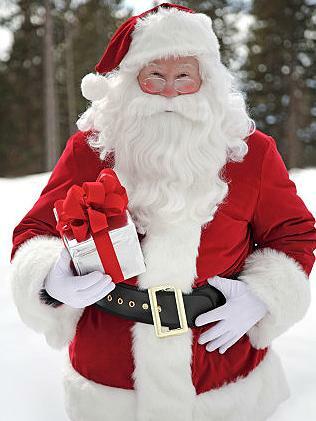 We’ve just received a telegram from the North Pole and we can reveal when Santa will be in town taking gift requests. Old Saint Nick will be at The Strand Theatre on Saturday, December 10, at 6pm, making his entry on a big red fire truck. The fun begins at 4 pm with face painting for the kids. Next door cookies and cocoa will be served at the Senior Center. A huge hat tip to Liz and Larry McNamara, Strand owners, who have opened their doors for this annual event for many years. Patti Mehm, one of the organizers, tells us that other activities are in the works. "We’ll hopefully have a craft activity and we are looking for some other options for entertainment for kids," Patti said today. So if you have a talent to offer, please give Patti a holla at 518-791-3578. After Santa’s visit there will be a special showing of a movie at the Strand. There’s plenty of other activities on the day to keep you busy. The Community Church and St. Andrew’s Episcopal Church will be hosting their Annual Christmas Bazaar, from 10 am to 3 pm in the community room at the Community church. There’ll be several activities, a luncheon, grannies crafts sale, baked good sale and children’s crafts. What do you want for Christmas? Tell us in comments.